Bamboo fencing comes in different styles. The most common ones are 30-40mm diameter poles, held together by multiple stands on galvinised wire. 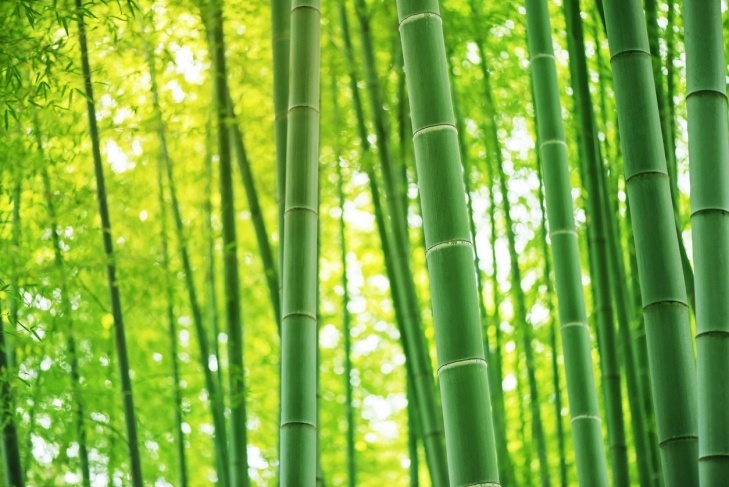 There is also split Bamboo panels, which consist of the outer surface of the bamboo cane, fixed to a timber or bamboo rod and generally screwed. This bamboo is generally wider 50-70mm diameter. 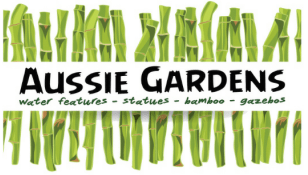 The choice of Bamboo comes down to how you want it to look and personal preference. If installing on a pre existing fence depending on whether you have the rails on your side or the palings, depends on what look you are going for. If you have the existing rails and want to hide them, we suggest attach new rails to the posts and then pre drill and screw the bamboo to the new rails. 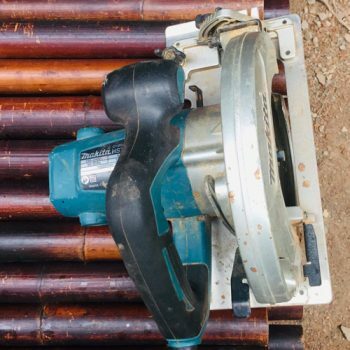 If you have the paling side, just pre-drill and screw the bamboo direct to the existing palings. If you have a colourbond or chain-wire fence, fix new rails to the existing posts and again pre-drill and screw to the new rails. During the installation process you will, at some point, have to adjust the length/height of the Bamboo panels. Try to cut from the bottom, as the top has all the natural nodes. You can use a hand grinder with a cutting disk, this process does take a little longer, however leaves a nice cut. A circular saw can also be used, with a multi tooth blade, this will splinter one side, however suggest putting that side to the inside so its unseen. Like all outdoor timber, the Australian sun will effect it, if it is not maintained. 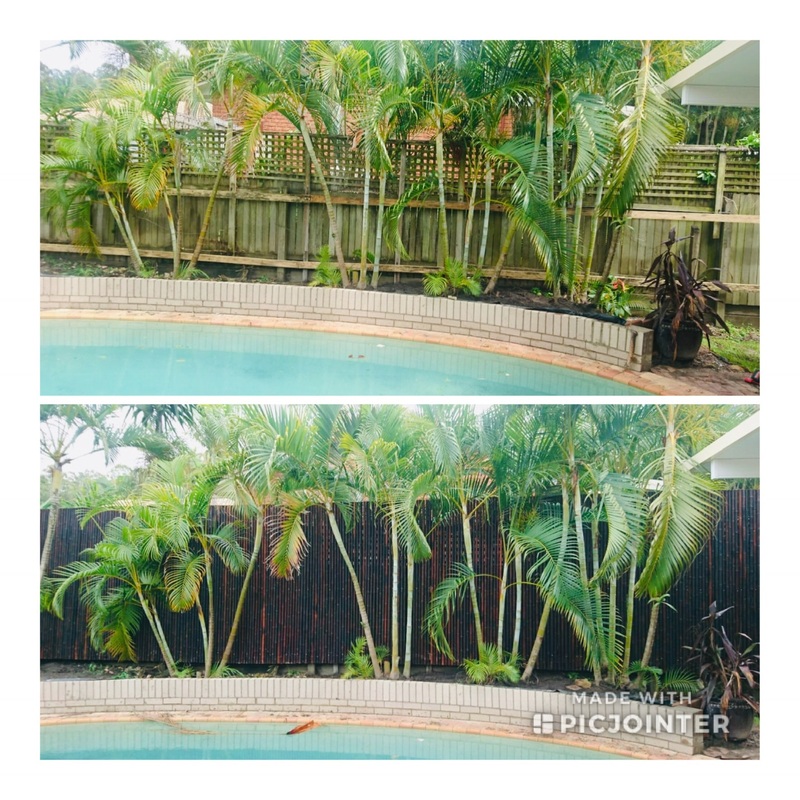 We highly recommend you seal your Bamboo Fence on a regular basis. 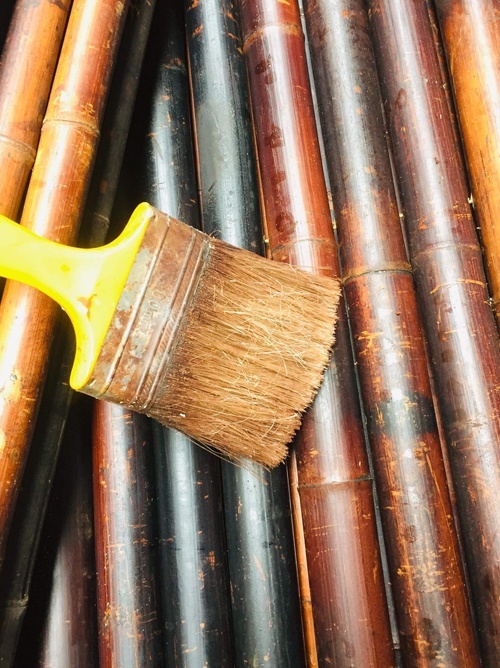 The natural Bamboo comes with a natural coating on it, so can be sealed once installed after 3-4 weeks (allows the sun to cook the natural coating of, therefore the sealant adheres a lot better). To achieve the Smoked Bamboo colour, this bamboo has been smoked for 2-3 days with all the natural coatings removed to achieve the colour. We strongly suggest you seal this Bamboo as soon as possible either before or after installing. The Smoked Bamboo will fade quicker than the natural Bamboo. When it gets to a stage where you think it is to light, we suggest the next time you seal it, drop a dark tint into the sealant, or get a sealant with a darker tint colour. Once this is applied, the selected colour will be achieved and we have found the new colour tends to last a lot longer with future maintenance. The above brands all offer multiple selections of tint colours and all are UV protected.